Check-in time is 7.30am at the Down Under Cruise & Dive desk inside the Reef fleet Terminal (1 Spence Street, Cairns QLD 4870). Our boat departs at 8.15am sharp and returns about 4.30pm. Our tour includes a fast, comfortable cruise on the luxury vessel “Evolution” to two unique outer reef destinations. All snorkeling equipment is included with full briefing and instructions provided. You can enjoy a delicious Aussie BBQ lunch including prawns, fish, steak, sausages and a variety of tropical salads and pastas. There is live music and a free glass of wine with cheese and biscuits for the return journey. The rain in Cairns tends to stick to the mountains. Cairns is located in the wet tropics and attracts fairly high rainfall. However, as our reef is 40 kms offshore, the clouds don’t collect, and the rain tends to stay away. When you wake up in the morning in Cairns and it’s raining…don’t panic! It will usually be fine on the outer reef locations. 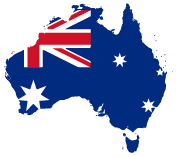 Why choose Down Under Cruise and Dive? “Evolution” departs Cairns daily offering a fast, comfortable and affordable cruise, with five hours spent visiting two spectacular outer Great Barrier Reef destinations. This luxury, modern vessel provides a superior ride in all weather conditions, no big crowds and exclusive protected reef locations. 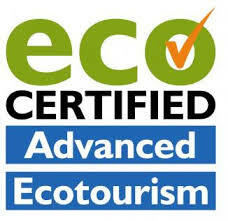 Professional, friendly and attentive staff ensure a safe and enjoyable fun-filled experience. Which reefs do you go to? We have 12 exclusive moorings at six reef locations. Locations are chosen each day based on weather conditions and water clarity so as to ensure the best experience for all activities. Generally, we travel to one of our two outer reef locations in the morning (Norman Reef or Saxon Reef) then make our way to North Hastings Reef in the afternoon to conduct Helicopter Flights and our Semi-Submersible tour. How long we are at the reef? With over 5 hours at the reef, there's plenty of time between dives for snorkeling and relaxation. 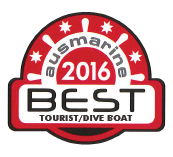 “Evolution” is our award winning, Australian built, luxury reef catamaran. With 3 massive spacious decks to lounge around and innovative drop-down water entry platforms, you'll have the space and time to prepare for the experience of a lifetime...Learning to dive or snorkel on the Great Barrier Reef! We normally advise our customers to book at least 3 days prior to the date of travel to secure a spot. However, please note that the months of June, July and August are very popular travel periods, therefore it’s advisable to book as soon as you’ve made the decision to travel, that way your spot is secured. Do you operate every day? Yes. We operate every day except for Christmas Day and New Years Day. We provide a delicious Aussie BBQ lunch including prawns, fish, steak, vegetarian options, tropical salads and pastas. We can cater for guest with vegetarian, vegan, gluten and dairy free diets. Please advise our friendly reservations staff at the time of your booking of any special dietary requirements and we will gladly assist where we can. Can I use my credit card on-board? Yes, you can use cash or credit card for additional purchases (soft drinks, chocolates, underwater cameras, t-shirts etc). Yes, we accept VISA and MAstercard. Amex not accepted. Can I book on the day? Yes, you can book on the day, subject to availability. You can call reservations from 7am, and will need to be at the Reef Fleet Terminal at 7.30am for check in. How many people can your boat accommodate? Our catamaran, “Evolution”, is surveyed to take 300 passengers but we limit our numbers to a maximum of 180 passengers. The boat has three floors and considerably spacious so there is plenty of room for everyone. What languages do you guarantee are spoken on board? Our crew are all english speaking. Chinese speaking staff available on board daily. We take divers from 12 years +. Please keep in mind that all divers are required to complete a medical questionnaire. Divers over 65 years require a dive medical assessment that conforms to Australian Standard and must be found fit to dive. Do I need to complete a dive medical? All passengers who want to dive will be required to fill in a medical questionnaire prior to their dive. If you answer yes to any questions then a medical assessment that conforms to the Australian Standard is required and you must be found fit to dive. If you’re prone to seasickness, it’s advisable to take something before you go. Check with a chemist. As “Evolution” is a catamaran, it’s more stable in rough weather than monohulls. We do sell seasickness pills on board the boat, but please remember, tablets are a preventative, not a cure, so take them just before we depart. The water temperature is pleasant all year round. Average temperatures throughout the year is: December-February 29C 83F, March-May 25C 76F, June-August 22C 72F, September-November 25C 76F. Rarely. The only reason we would cancel a tour would be for the safety and comfort of our guests. Pack like you’re going to the beach- Swimmers, towel, hat, sunscreen, change of clothes, cash or credit card for additional purchases on the boat. Do you visit an island or pontoon? No, we don’t visit an island or pontoon as we have a beautiful 3 story luxury catamaran that is moored on the outer reef while you enjoy the magnificence of the Great Barrier Reef. Do you have a professional photographer on board? Also available are digital underwater cameras available to hire with a SD card included. Every year corals engage in one of nature’s greatest spectacles, their mass reproduction during a November full moon. Fertilized eggs (larvae) travel on ocean currents for days or weeks in search of a new home (New Coral Growth). The Reefs that Down Under Cruise & Dive travel too every day are the far offshore reefs and are bathed in oceanic water from the Coral Sea rather than the currents that flow past inner Cairns reefs. Indeed, the access to deep—and often cooling—ocean water helps moderate temperature extremes in these outer reefs, which also reduces the risk of bleaching. The Great Barrier Reef already has had more than 30 percent of its area under protection from fishing, and many of its other individual reefs are important for tourism, fish habitats and cultural benefits providing abundant marine life: tropical fish, sea turtles, sharks, rays and other underwater creatures. Despite what you hear and read the reef is not dead, it's not dying, it's resilient, it's healthy and we've made great strides forward in the last few years. The government has committed more than Aus$2.0 billion (US$1.5 billion) to protect the reef over the next decade with the update highlighting progress on land management practices to prevent sediment run off, which helps spawn the coral-eating starfish.